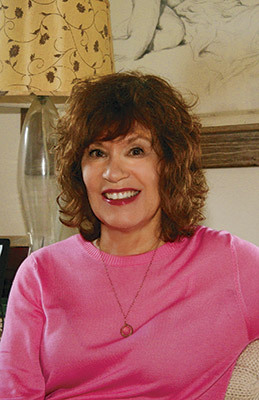 Sally Koslow is the author of the novels Another Side of Paradise; the international bestseller The Late, Lamented Molly Marx; The Widow Waltz; With Friends Like These; and Little Pink Slips. She is also the author of one work of nonfiction, Slouching Toward Adulthood: How to Let Go So Your Kids Can Grow Up. Her books have been published in a dozen countries. Sally is the former editor-in-chief of McCall’s Magazine. She has taught at the Writing Institute at Sarah Lawrence College and is on the faculty of the New York Writer’s Workshop. She has contributed essays and articles to The New York Times, O, Real Simple, and many other newspapers and magazines. She has lectured at Yale, Columbia, New York University, Wesleyan University, and University of Chicago, as well as many community and synagogue groups. Sally lives in Manhattan, but hopes the statute of limitations never ends on mentioning that she is from Fargo, North Dakota. She is a graduate of the University of Wisconsin-Madison, where she met her husband. They live in Manhattan, and are the proud parents of two sons. Who was F. Scott Fitzgerald’s last great love? Another Side of Scott Fitzgerald? Author Interview: Sally Koslow’s New Novel Earns Glowing Review on Oprah.com! Sally Koslow’s New Novel Earns Glowing Review on Oprah.com!